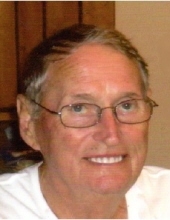 Mr. Newell Ray Thomas, age 79, of Vanceburg, Kentucky, passed away Friday morning, February 1, 2019, at his residence. He was born January 16, 1940, in Lewis County, Kentucky, a son of the late Frank and Cora Cropper Thomas. Newell was of the Christian faith and retired from General Motors after 25 years of service. He enjoyed reading about history, bird watching, watching westerns and spending time with his family. In addition to his parents, he was preceded in death by four brothers, Rod Thomas, Nelson Thomas, Wilmore Thomas and Franklin Thomas and two sisters, Nettie Moore and Bettie Breeze. Newell is survived by his wife of 10 years, Alma Moore Thomas; one son, Anthony “Tony” Thomas (Janet) of Middleboro, Massachusetts; one daughter, Kelly Morgan (Joe) of Goshen, Ohio; one step-son, Donald Ray Polley (Geneva) of Aberdeen, Ohio; two step-daughters, Christine Willis and Ruth Butler (Danny) all of Tollesboro, Kentucky; eight grandchildren; 16 great grandchildren; two great-great grandchildren; and one twin sister, Jewell Barbour of Fayetteville, North Carolina. He also leaves many other family members and friends who will sadly miss him. Funeral services will be held at 11 a.m. Tuesday, February 5, 2019 at Dickerson Funeral Home in Vanceburg, Kentucky with Brother Arthur Moore officiating. Burial will follow in the Burtonville Cemetery. Friends may visit from 6 p.m. to 8 p.m. Monday, February 4, 2019 and after 9 a.m. Tuesday at Dickerson Funeral Home, 110 West Second Street, Vanceburg, Kentucky 41179. Ronnie Sartin, Timmy McCord, Ronald Phelps, Brent Moore, Mike Ravencraft and Randy Gilliam will serve as pallbearers. "Email Address" would like to share the life celebration of Newell Ray Thomas. Click on the "link" to go to share a favorite memory or leave a condolence message for the family.